Wedding Hair Help | Hair Cut Disasters, Averted! Home | Advice + How To | Wedding Hair Help | Hair Cut Disasters, Averted! Who hasn’t been there… you walk out of the salon and you immediately pull your freshly cut hair under a paper bag. Or, at the very least, straight into a ponytail. As my mother liked to say, there’s only 6 weeks between a good and a bad haircut. But, what happens if your wedding is mere weeks or, heaven forbid, days away? Ekk! My first tip when it comes to wedding hair help would be to avoid going anywhere near a pair of scissors for at least a month before your wedding day, but if you have gone the snip when you were hoping for a ‘trim’, and regretted it, there’s still plenty of ways to style freshly cut or in between hairstyles for your nuptials. Braids are oh so perfect for tucking away a fringe, and look so sweet with shoulder length or even a chin length bob. 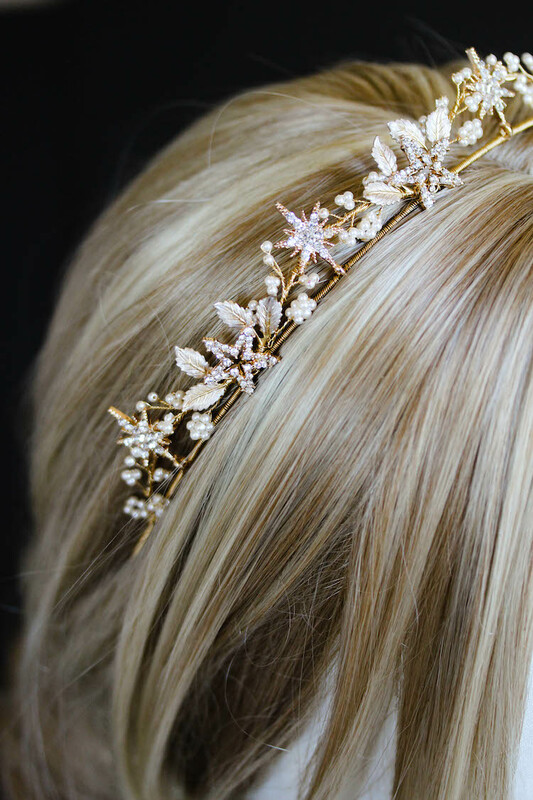 Accent with a pretty, sparkly accessory, and nobody will be any the wiser of your haircut mishap! If your hair has been cropped to shoulder length, you can still wear a ballerina bun. Ask your hairdresser to fill out your bun with a hairpiece or what’s called a ‘donut’ – a piece of foam that adds a little bouffant to your ‘do! Finger waves, classic brooch-style pins and birdcage veils look amazing on shorter hair! Adding some seriously volumous curls will also disguise any accidental hair hacks! 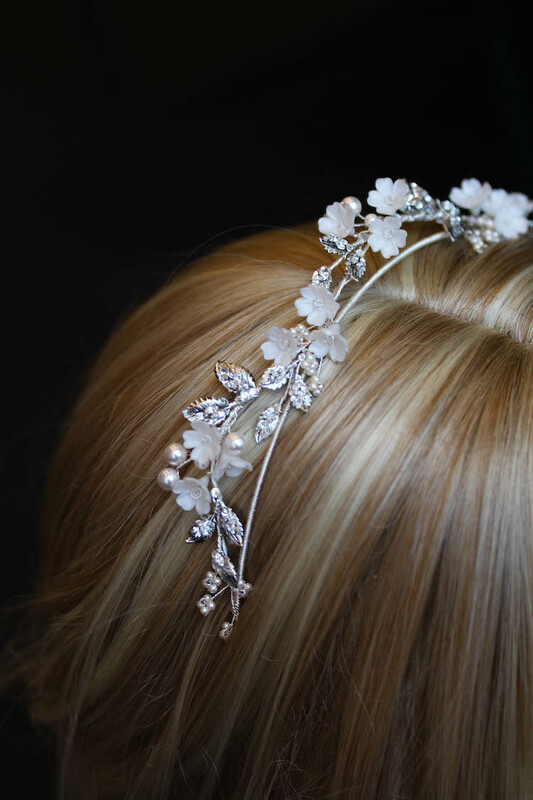 Nobody will notice a wedding hair mishap that’s cleverly hidden under a stunning statement birdcage veil or an exquisite lace headpiece. Try a soft side parting, with a bunch of hand dyed roses to match the colours of your wedding styling.